Wednesday, February 13, 2019 from 5:30 p.m. to 7:45 p.m. 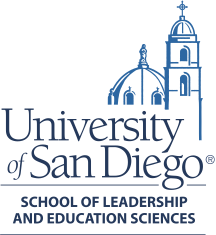 Please join us for the Department of Leadership Studies Spring Information Session on Wednesday February 13, 2019. At this prospective student event our faculty, student ambassadors and admissions staff will give you important information about the MA in Leadership Studies and MA in Nonprofit Leadership and Management programs. All attendees are eligible to receive a $45 Application Fee Waiver for 2019. Attendees will receive a 4-hour parking validation for the West Lot. We recommend arriving early to allow time to take the free tram from the West Lot to Mother Rosalie Hill Hall. If you're experiencing registration issues please email solesadmissions@sandiego.edu.